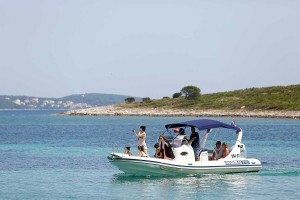 Experience our Hvar, Blue Lagoon and Trogir tour in private arrangement for groups up to 12 people. The biggest advantage of booking a private tour as opposed to our day tour is that you have full power over tour itinerary and the time you wish to stay at each location. The blueprint of the tour is here at your disposal and you are free to add to and subtract from all you want. But make sure you confirm your customized tour itinerary with out team before the tour starts. 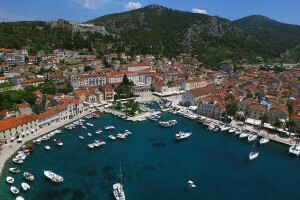 The first stop of the tour is town Hvar on Island Hvar. 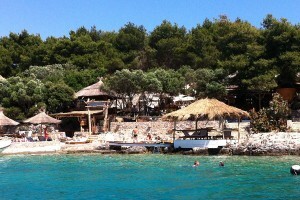 Normally, we have allotted 2 hours for the group to stay in Hvar. 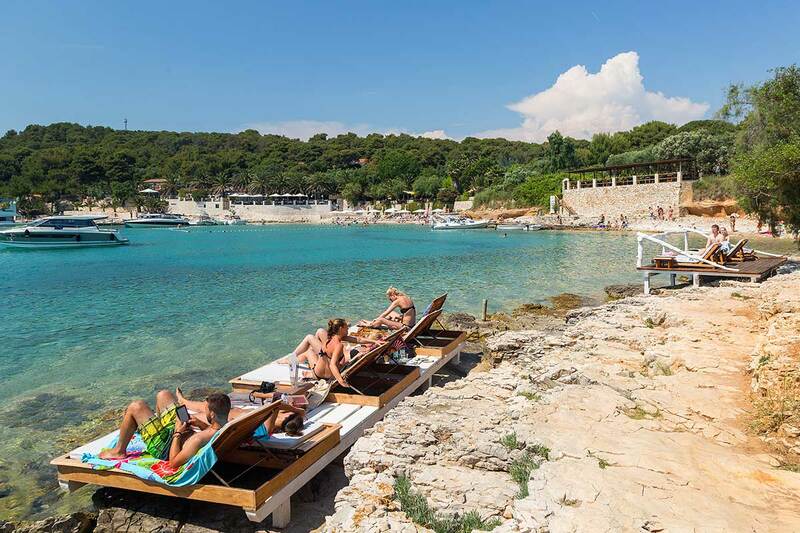 Depending on your interests and what you want to experience in Hvar we can shorten or prolong the stay in this popular vacation destination. 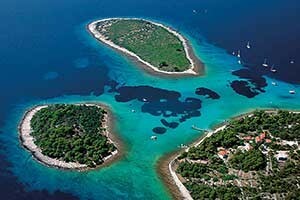 We will arrive at Hvar in morning hours, around 9:30 AM. 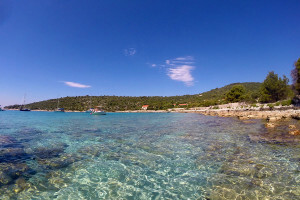 Depending on the season it might be too early to go swimming, but it is perfect to go out and explore the town while the sun is not still fully up. 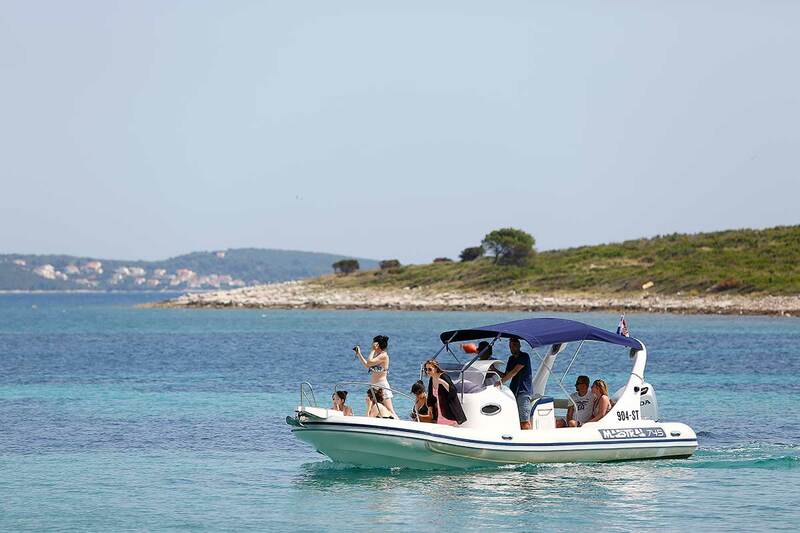 You can visit Hvar, Blue Lagoon and Trogir on Our Daily Speedboat Tour! Book your spot and join us for an island hopping adventure! Even though on the hills over todays Hvar there was an Illyrian settlement dating back to eighth century B.C. 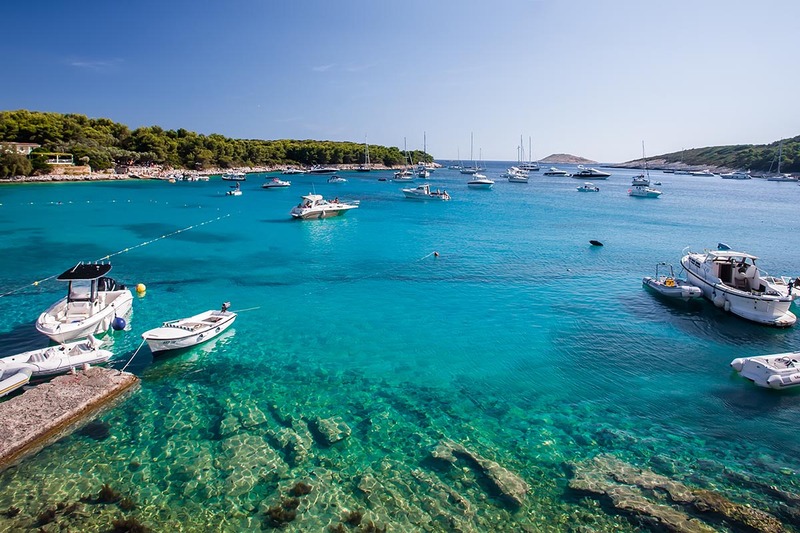 it was not until the 13th century, When Hvar asked Venetians for protection against marauding pirates, that Hvar started to flourish both economically and culturally. 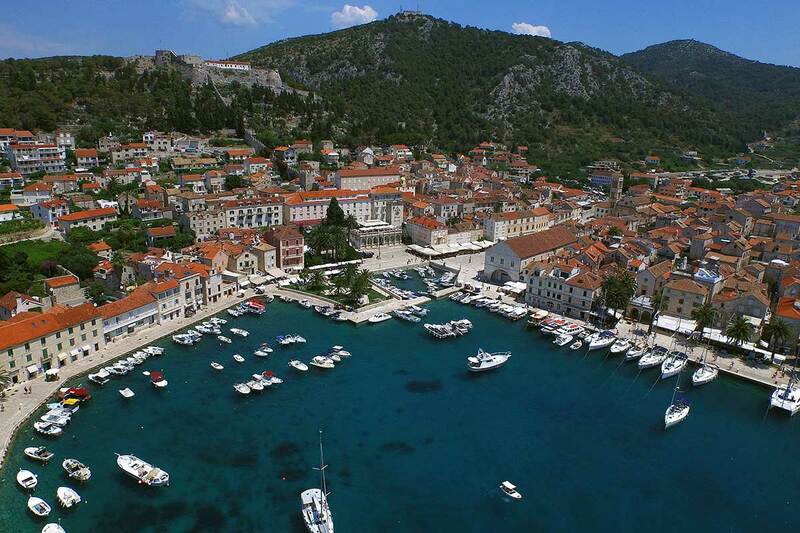 As you walk the streets of Hvar the majority of the buildings you see were built in period from 13th century to 18th century giving this island town a unique and historical feel. 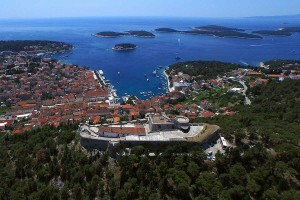 Lets look into the major attractions and sites of Hvar town. Located on the St. Stephen square, the main square in town Hvar, on its far east side stands St. Stephen Cathedral. As you walk the square from the port towards the Cathedral, you may notice the sheer size of it. 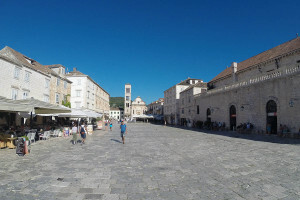 Well, it is the largest city square in Dalmatia and that is not even the interesting part. The square used to be a bay with sea entering all the way to St. Stephen Cathedral. 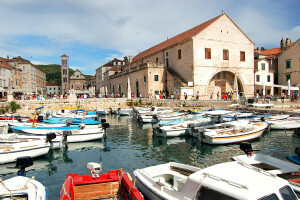 The bay was filled up over the centuries till finally the town square reached its final form in 15th century. In the year 1520, once the communal well was built in the middle of the square, was when the square began to play a major role in the lives of the locals. At the end of the square stands St Stephen cathedral. It is unknown exactly how old the cathedral is only that it was built on a site of the church from 6th century and in 13th century as Hvar assumed the Bishopric that it received its cathedral status. Interesting thing to note before entering the cathedral are its entrance stairs. There are two entrances to the cathedral with two sets of stairs. One set of stairs is all warn out while the other looks brand new. 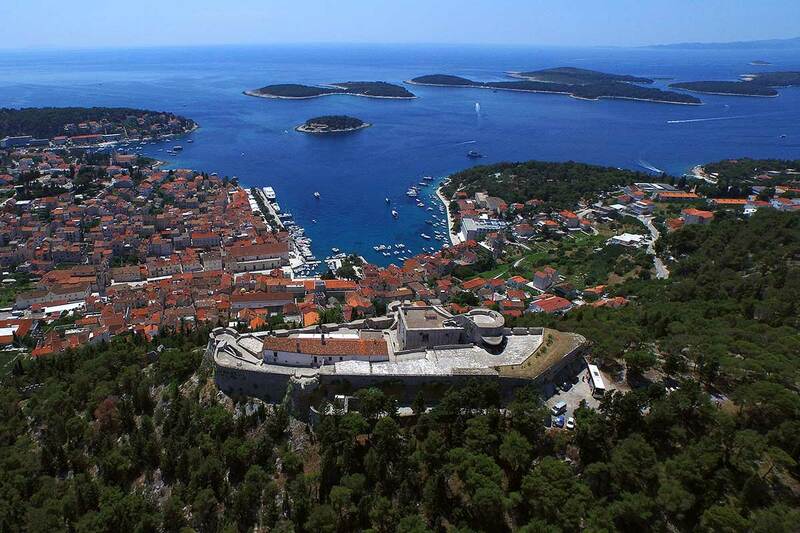 This is because one set of stairs was used by common people and the other by Hvar’s noblemen. Since the Cathedral was built over the many centuries, on it you can clearly see elements of Gothic, Romanesque and Renaissance architectural styles. On its top, rising four levels up in the air is the Cathedral’s bell tower constructed in 1550 by local masters and is the most recognizable part of the cathedral. Located on the entrance to the town square is the Arsenal building. Even though Arsenal is closed for the visitors due to restoration you can still climb its terrace for a view of the harbor and learn about its great history. The Arsenal building was built on a place of the old one which was destroyed by the Ottomans and was finished in the year 1611. Galleons would sail into the Arsenal were they would undergo necessary repairs. 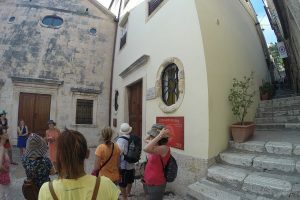 Upstairs of the building is the site of, what is believed to be, the first theater in Europe opened way back in the year 1612. The common people and noble people all came together under one roof to enjoy in the plays. The plays were held in this place all the way to the year 2008 when it was time to give this historic site a necessary restoration. 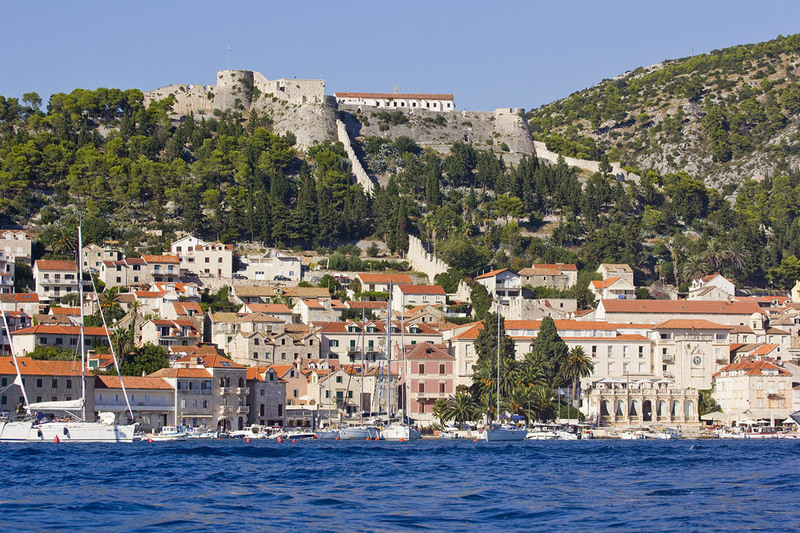 As you arrive at Hvar town undoubtedly the first thing you will notice is the white fortress towering over this island town. Interestingly, on its site, the Illyrians built a defensive citadel to protect the fertile field somewhere between 1,000 and 500 years B.C. 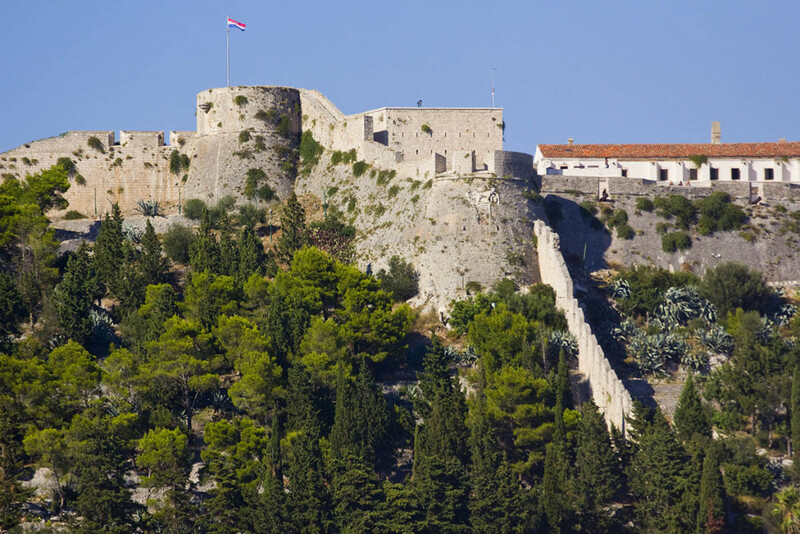 The Greeks and Romans both made the improvements on the citadel as they came over the centuries but it was not until the Venetians in 13th century, when Hvar asked for protection against the pirates, that the actual fort was built along with the town walls, whose remains you can still see today. The gunpowder explosion in 1579, triggered by lightning, almost completely destroyed the fortress. As it was rebuilt it stands in the same form now for centuries. 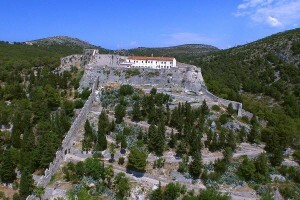 Even though the climb to the fortress seems tough it actually is not. 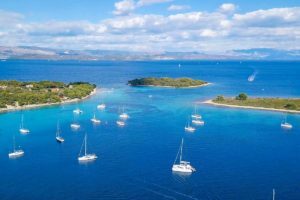 In some 15 minute walk you can be right on its walls admiring the panoramic view of the town and adjacent Pakleni islands archipelago. After the time spent in Hvar we have planned swimming and sunbathing expedition to the nearby Pakleni Islands. You may choose to skip Pakleni Islands and spend more time in Hvar, but if you want to go swimming, and after sightseeing Hvar you probably will, the place to go is Pakleni Islands. 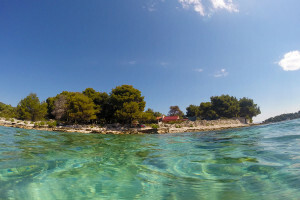 Where to go swimming on Pakleni Islands? 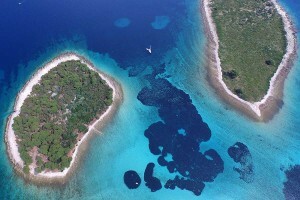 Pakleni Islands archipelago is a chain of 16 small island starting right in front of the port of Hvar town. The most famous of the islands is St. Klement island, the location of popular Palmizana, a must stop for majority of speedboat tours in Hvar. 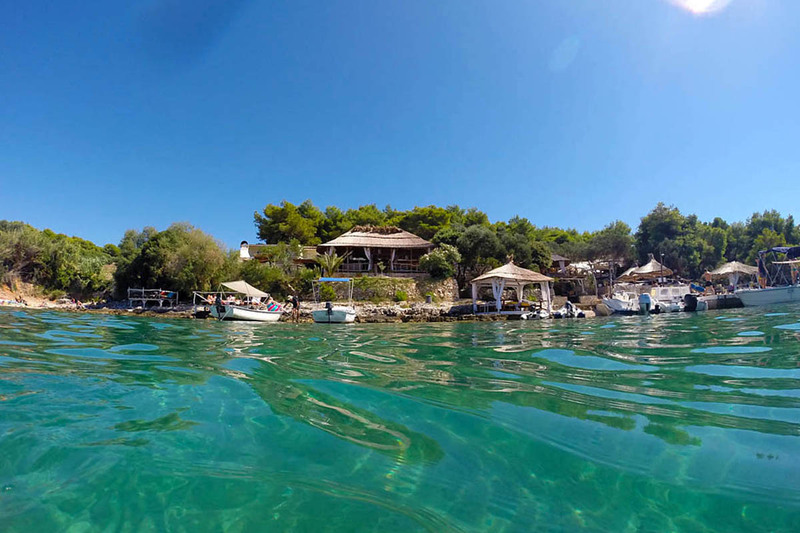 Palmizana is famous for its restaurants, marina, beach bars and beautiful vegetation of the island where you can even see a majestic botanic garden. 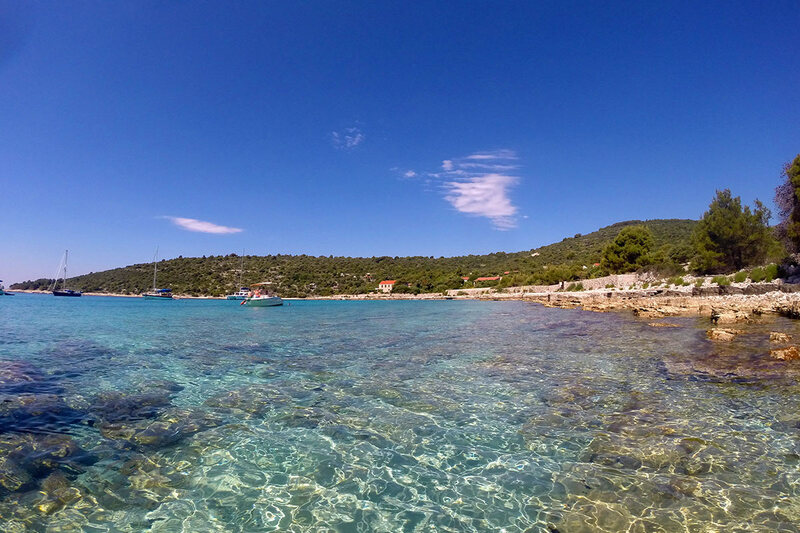 The main beach in Palmizana is in pebbles and the beach itself is rather narrow, but the sea bottom is sandy with beautiful turquoise color which makes this beach rather popular. 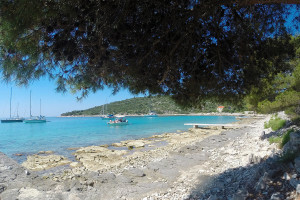 In case you would like for us to arrange a lunch in Palmizana instead off on island Solta as normally planed, please advise us so before the tour. Restaurants in Palmizana all have amazing view on the bay, fresh seafood traditionally prepared as well as selection of local red and white wines. 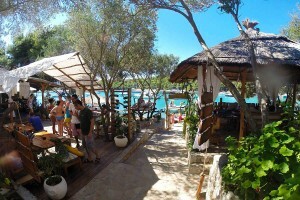 On island Marinkovac is the famous Stipanska bay, the location of the Carpe Diem Beach club. 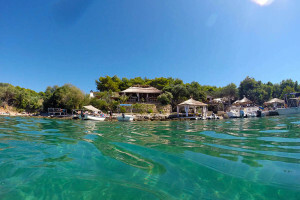 If you wish to spend your time on Pakleni Islands on a beach, with a cocktail in your hand, this is a place to be. 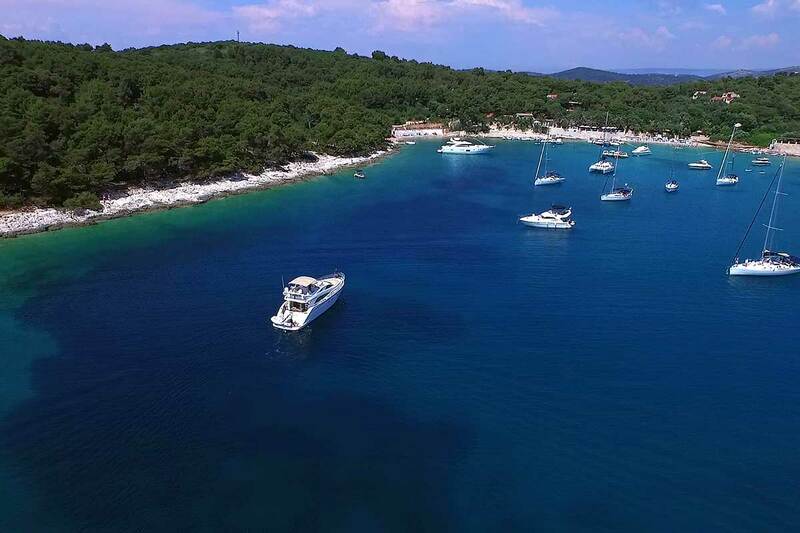 If you wish to experience peace and quiet on Pakleni Islands and enjoy in the secluded bay we will cruise together through the archipelago to find a perfect bay for you. 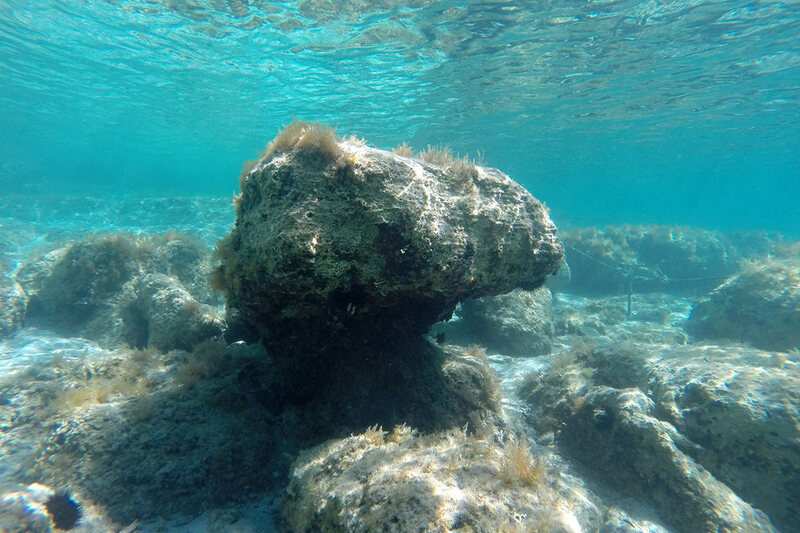 Relax and enjoy in the sea before we venture towards a bay on the island Solta where we have scheduled an optional lunch break. After sightseeing Hvar and swimming in the crystal sea of Pakleni Islands we have scheduled a visit to island Solta, in a secluded bay for an optional lunch. 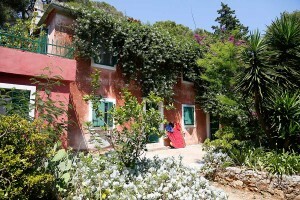 If you have decided to have lunch in Palmizana then we can go on to explore on out tour. 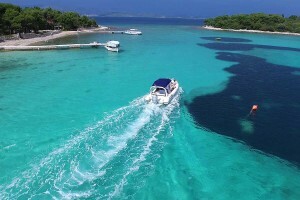 Even though Maslinica is not a usual stop of our day trip to Hvar, Blue Lagoon and Trogir, on a private tour we can arrange a stop at this picturesque village, depending on a time left for the tour. 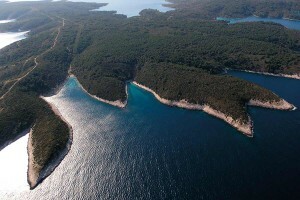 Maslinica was even named on the the most beautiful tourist destinations in Croatia. 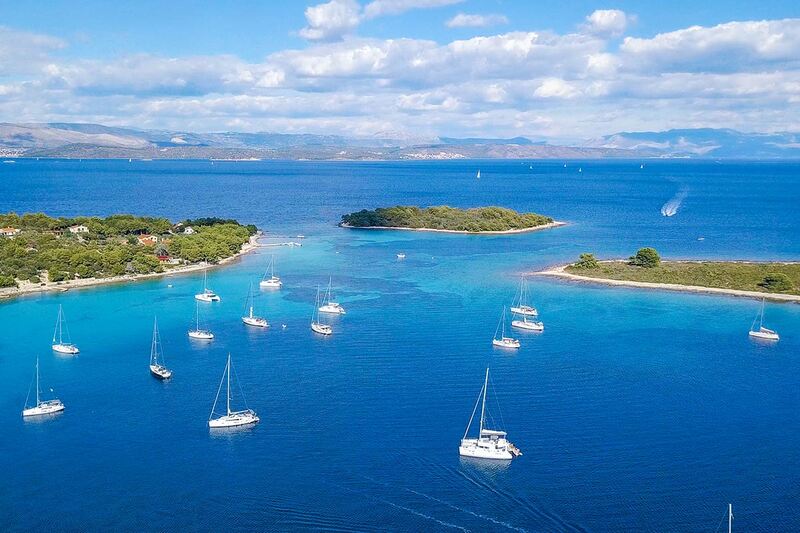 The main feature of Maslinica are its seven little islands located right in front of its port. 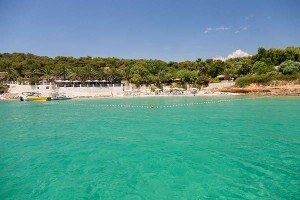 As you arrive at the promenade you will immediately see it biggest and brightest landmark, the Martinis Marchi castle. 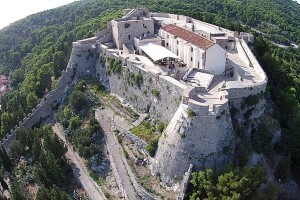 Today the castle is a hotel and a restaurant but during its history this castle was essential in protecting the villagers from pirates. 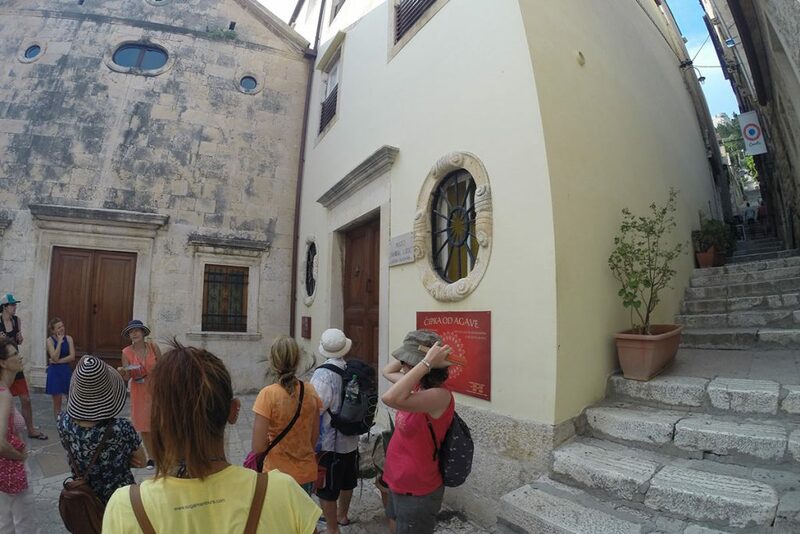 It was built by three Marchi brothers along with a village and a church in 1703, as the brothers asked permission from Venetians to build a protective settlement on the west bank of Solta island. Very close to Maslinica, some 5 to 10 minute speedboat ride, stand the favorite swimming and snorkeling destination in the area. 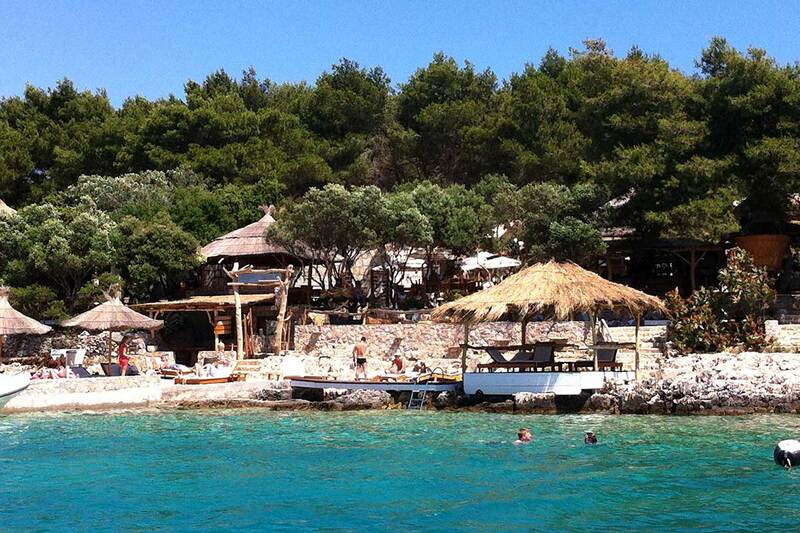 Not easily accessible, Blue Lagoon stands in the midst of 3 Islands; Drvenik Veli, Krknjas Veli and Krknjas Mali. The Lagoon is characterized with the crystal clear turquoise sea changing the shades as the sun progresses over the horizon. Right near the beach where we moor our speedboat you can find an island trail taking you to the nearby hill top. 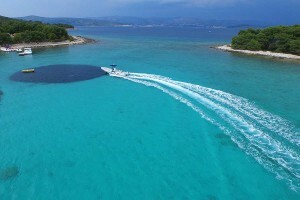 From there you have a great view on the islands and the lagoon. 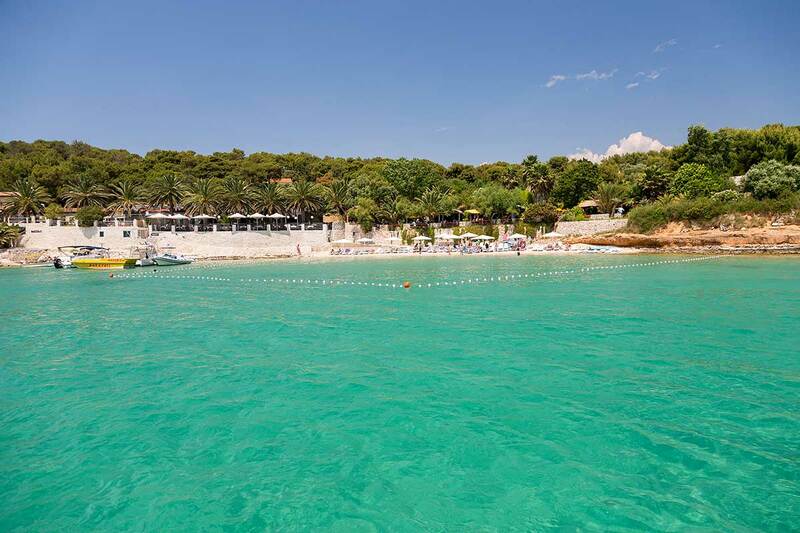 We have allotted approximately one hour of free time to enjoy in the lagoon, swimming, hiking, snorkeling, sunbathing… before heading out to the final destination of our tour, UNESCO World Heritage Site, the old town of Trogir. From Blue Lagoon there is only a short speedboat ride till we enter the Chanel of Trogir created by Peninsula Ciovo and the mainland. 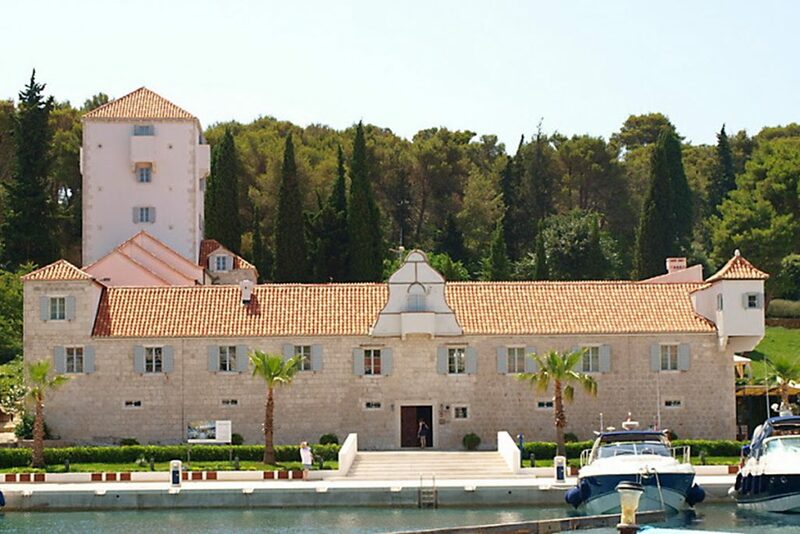 Right from the start you will see the castle standing proudly at the end of Trogir island, strategically perfect location to protect locals from dangers coming from the sea. Kamerlengo castle was built in 15th century and for an admission fee you can enter inside, climb the fort and enjoy in the view of the channel and old town of Trogir. 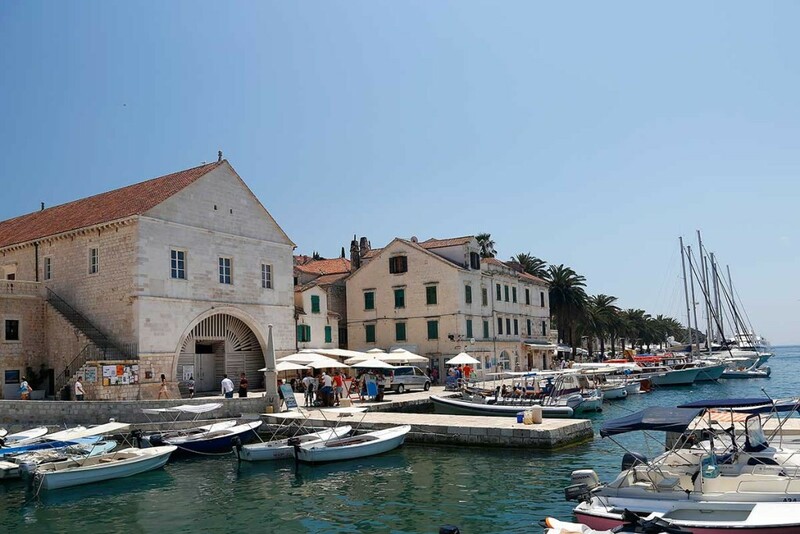 The old town of Trogir is filled with historic and sacral buildings, and walking its narrow streets will make you feel as if you have wondered back in time as the majority of the buildings are from Romanesque and Gothic time period. 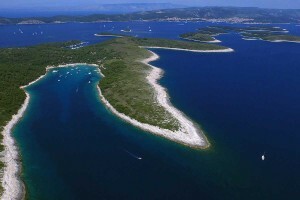 On this small island, which you can walk over in 15 minutes, you can find eleven churches, numerous palaces, towers and a castle. 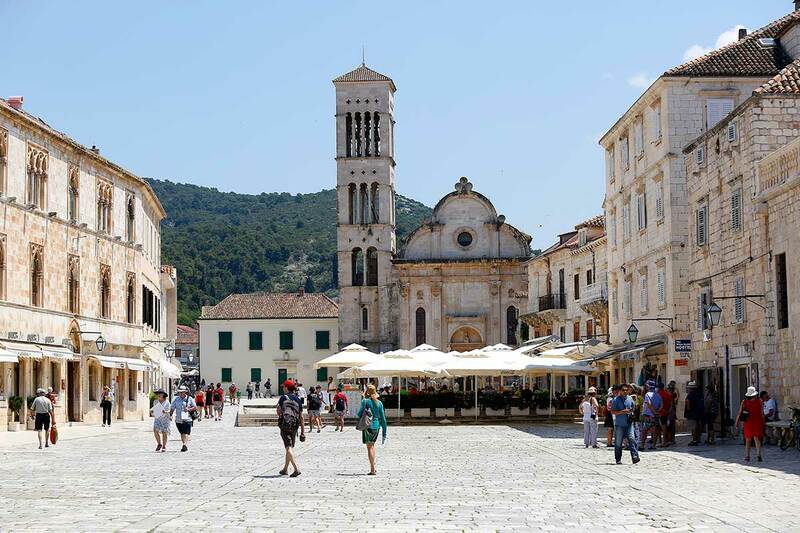 The biggest landmark in Trogir is Cathedral of St. Lawrence located on the main Trogir square. St. Lawrence cathedral, an architectural masterpiece, took around four centuries to complete. It was completely finished in the beginning of the 16th century. 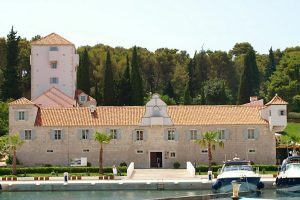 It is easily recognized by its 47 meter high bell tower from which you can see the entire Trogir channel, Čiovo, and the beautiful architecture of Trogir old town (entrance fee is required to enter St Lawrence cathedral and bell tower). The main city square, which was built on a site of Roman forum, aside from the St. Lawrence cathedral has other historic buildings with noting. Across from the Cathedral you will see magnificent clock tower, created in year 1471, and a city loggia also from the 15th century. 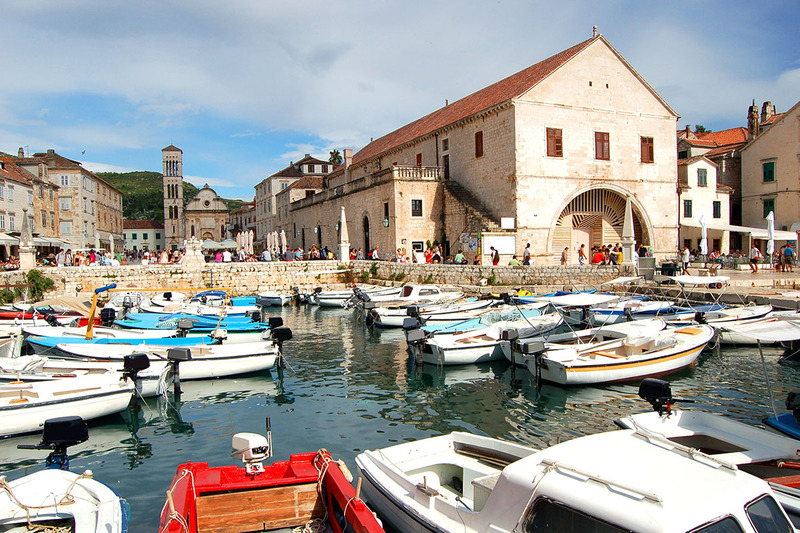 It is easy to see why old town of Trogir made it to the UNESCO World Heritage list. Make sure to read about all the historic building and sites in Trogir old town so that you can best experience this historic and beautiful city.